Forget what you thought you knew about decorating rules. We've already busted 7 of the most common decorating myths, and now we're busting 5 more! If you look back through old decorating magazines from the 80s you’ll see room after room full of matching fabrics (usually floral). Drapes, pillows, upholstery, even lampshades! And even though people have moved away from this and started mixing patterns, there’s still a prevailing belief that all the patterns in a room must coordinate. This is not true! While coordinating fabrics can work in certain cases, it’s far more important that the fabrics compliment each other. Not sure what that means? Check out this article on mixing patterns for everything you need to know. People often get caught up in the idea of decorating styles. They try to define themselves and their homes as traditional, modern, Bohemian - whatever. But never forget that style should be a personal thing, and your room should reflect your style and your personality. You don't have just one hobby, why should you have just one style? So go ahead and mix items that are traditional, modern, industrial, and romantic. An eclectic style will help reflect the personalities of the people who live in the home. And isn’t that better than trying to fit your personality into someone else’s idea of style? Metal finishes do not need to be the same. It bears repeating – metal finishes do not need to be the same! Mixing metal finishes in the same room is actually a very sophisticated look, but be careful not to overdo it or it can look messy. Try to keep it to 3 finishes per room and try to keep them in the same tone. For instance, colors can be different but brushed finishes go together, polished finishes go together, etc. 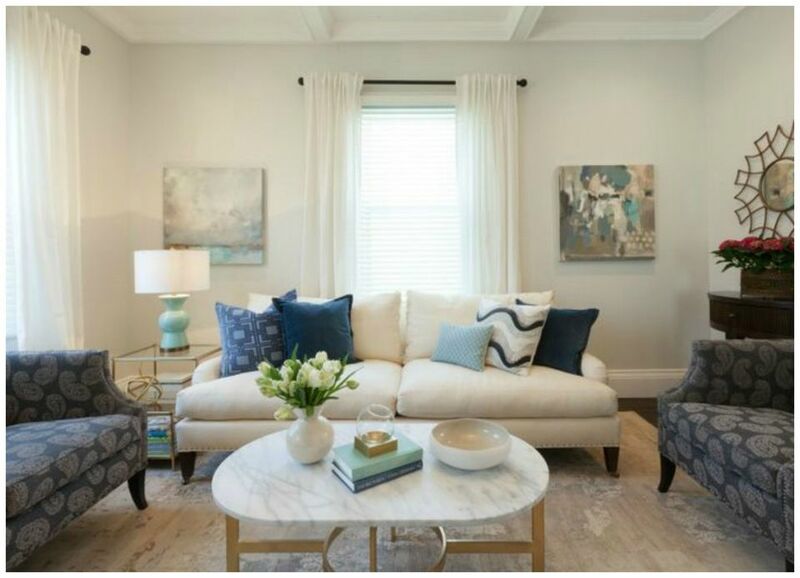 Conventional decorating wisdom says to purchase a neutral sofa and dress it up with colorful pillows. And yes, that is definitely the safer option as sofas are fairly expensive and you want them to be as versatile as possible and last as long as possible. But neutral sofas don’t make big statements. If you want something a little more exciting then don’t be afraid to take a risk! A bright and colorful sofa can absolutely make a room. When was the last time you saw a living room without a sofa? It's probably been a while. That's because most people believe a sofa in the living room is a must. But it really isn't. Depending on the room and the people who reside in it, a sofa may not be necessary (particularly if it's a small room). In some cases chairs and daybeds can accomplish the same goals as a sofa. If you're having trouble picturing it check out these examples. Always remember that decorating rules exist in order to help guide people into making choices that will be pleasing to the eye, NOT to dictate what they should or shouldn't put in their homes. So never take any of the rules too seriously. Consider them guidelines and then put your own spin on them. It's the only way to create a style that's truly yours! Follow us on Pinterest for more decorating ideas!